Am I the only one that struggles with spelling Cincinnati? I seriously cringe when I am going to spell it, and hope that spellcheck will help me through it! Anyway..... 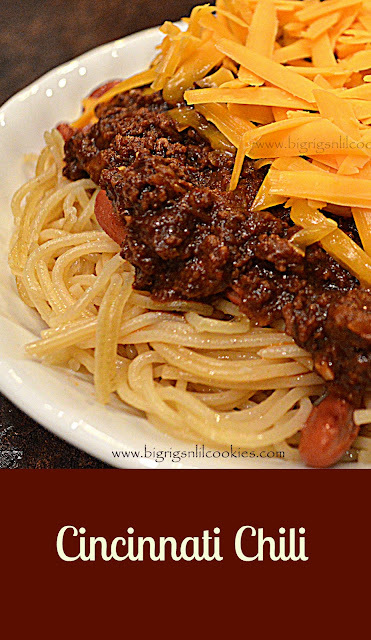 The first recipe I tried from the cookbooks was for Cincinnati Chili. I have always heard of this, and never had the opportunity to try it. This truly is a different chili than any I have ever tasted. As I was adding all the different ingredients, I was getting a little worried that we wouldn't like this "new to us" version. Cinnamon, allspice, unsweetened cocoa, bay leaves. I was quickly seeing why this chili was in a class of it's own. The other thing that makes Cincinnati Chili different, is that you don't eat it in "soup" style, in a bowl. You serve it over spaghetti on an oval dish (which I didn't have!). You can add on to it in different levels, there is a method though to stay in true Cincinnati fashion. First, with cheese, and a side of crackers. The next level is a spoonful of onions, added before the cheese. Then the last, is to add warmed beans, even before the onions. We both LOVED this. The only thing I did different from the recipe was adding quite a bit of salt, and typically we add the bare minimum of salt. I hope that this doesn't offend the purist fans of this chili! It really was so thick and savory. Definitely the most aromatic chili I have ever enjoyed. The consistency was more of a meat sauce than a chili, to this Wisconsin girl. I think it would be great over a hot dog also. On my low carb days I enjoyed this over spaghetti squash, and it was equally delicious! Have you signed up for the chance to win the Recipe Hall of Fame cookbooks? Be sure to do that ASAP! You have until December 3rd to get it done! Add water to large pot. Crumble ground beef into the water. Add remaining ingredients (except for the spaghetti and toppings). Bring to boil. Stir often breaking up the meat. Cover and simmer for about 2 hours. Stir occasionally. Thank goodness for spell check. My dad really likes Cincinnati chili. I think it is fun every once in a while too, but I prefer my more traditional version. 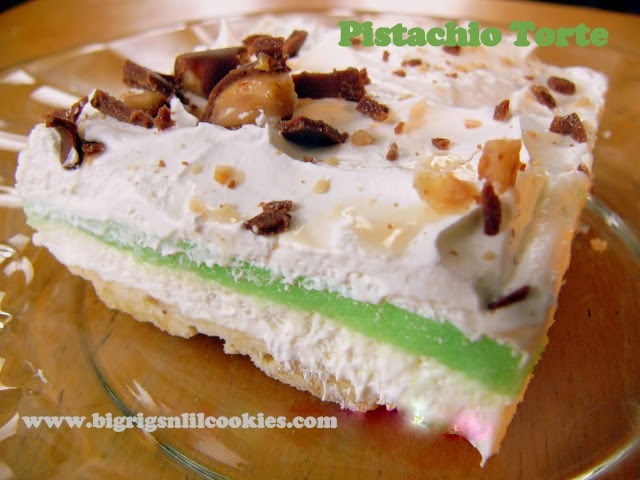 It is funny how the different toppings are part of the tradition. I like it 5-way when I have it! wow..what a chili! I can't wait to give it a try! This is a different recipe! I know my husband would love this version - as he used to have a college roommate from Ohio and the would feast on his home cooked specialty! Yum! Thanks for sharing! Oh and notice how I didn't spell it out - um, that was on purpose ;) Cincinatti has always been a tricky one for me! I am with you about spelling. I am so thankful for spell check! Looks really appetizing. I wonder how it would taste made with bulgar in place of beef. Wow. I want to come over for dinner. I've never tried Cincy Chili...sounds delish. Thanks for sharing with us at Weekend Potluck.